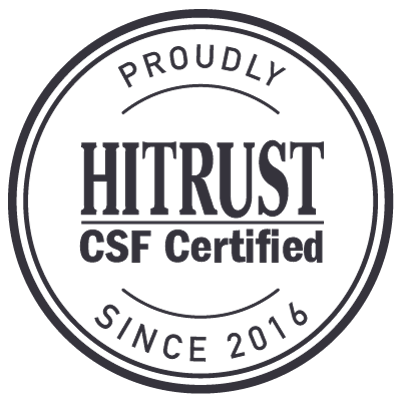 Choosing a HIPAA compliant texting vendor who can supply the most appropriate secure text messaging solution can be difficult. As the secure text messaging market has developed, many software vendors have jumped into the market with an existing application and repurposed it as being suitable for text messaging in compliance with HIPAA. A bad choice of secure text messaging vendor could result in a stagnant product which is out-of-date as soon as work practices change, technology advances or when new legislation is enacted; and therefore it is important to engage with a HIPAA compliant texting vendor who dedicates sufficient research and development resources to adapt to changing requirements over time. To help ease the difficulty of choosing a secure text messaging vendor, we have compiled a white paper “The Top Ten Considerations when Selecting a Secure Text Messaging Solution” that provides advice on the most important considerations you should take into account when evaluating a secure text messaging solution and the vendor who is marketing it. Using TigerConnect’s secure text messaging solution as an example, healthcare organizations and other HIPAA-covered entities can use various elements of our secure messaging platform to safeguard the integrity of electronic protected health information (ePHI) and comply with the physical, technical and administrative requirements of the HIPAA Security Rule. The TigerConnect secure text messaging solution allows authorized users access to ePHI with user-friendly texting apps, which connect to ePHI stored on secure servers via a platform which has administrative controls to protect the integrity of the data. Access to ePHI is only possible once the authorized user has validated their identity with a unique username and password, who can thereafter communicate ePHI to other authorized users within a defined private network. TigerText’s apps are configured in such a way so that ePHI cannot be copied and pasted, or forwarded outside of the network, and each communication is automatically acknowledged with a delivery receipt so that it can be confirmed that the correct recipient has received the secure message. At the same time, the TigerConnect platform monitors usage of the secure text messaging solution and produces audit logs in order that administrators can ensure that policies developed to guide staff on the procedures for HIPAA- compliant text messaging are being adhered to. In the event that a potential breach of ePHI is identified, messages can be retracted or deleted remotely by the administrator, or the user can be remotely wiped from the system in the event (for example) that a mobile device is lost, stolen or otherwise disposed of – thus ensuring the integrity of ePHI. Most text messaging solutions enable authorized users to access and communicate ePHI from anywhere in which a 3G or Wi-Fi service is available; and, because nobody outside the organization´s network can intercept securely-sent messages, there is no risk of encrypted ePHI being compromised during transmission. As a consequence, healthcare professionals can receive ePHI “on the go” with secure text messaging, access x-rays and lab results with secure text messaging, collaborate on a patient´s healthcare and arrange for appropriate treatment to be administered with secure texting – even though they may be many miles away from the facility in which the patient is located. Physician consults can be requested with secure text messaging and, because of the automatic delivery of read receipts, the sender of the message can see when the communication has been read – significantly reducing the amount of time that medical professionals play phone tag and enabling them to reallocate their time more productively. Outside of the hospital environment, home healthcare workers can escalate patient concerns with secure text messaging, emergency personnel can accelerate admissions with secure text messaging, prescription orders can be confirmed quickly with secure text messaging and health insurance claims can be completed by secure text messaging – potentially accelerating the speed at which healthcare organizations receive funds! A delivery notification escalation feature resends notifications to alternate SMS and email channels after two minutes if a 3G or Wi-Fi service is not available. An enhanced message forwarding function makes it simpler for healthcare professionals to conduct secure multi-party discussions over the health of a patient. An “is typing” message now displays when responses are being written to messages – reducing wait times further. 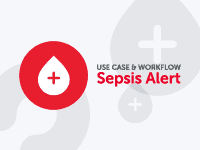 A multiple account inbox feature enables healthcare professionals to receive messages from multiple sources and prioritize them to streamline workflows. A “Do Not Disturb” feature allows authorized users to leave bespoke messages advising of alternative contacts when they are unavailable. 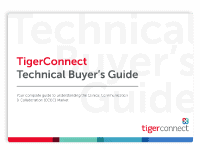 TigerConnect has also recently launched a $1 million guarantee against HIPAA violations that may arise from sending and receiving ePHI via TigerConnect’s secure text messaging solution. Our “Top Ten Considerations when Selecting a Secure Text Messaging Solution” elaborates on further qualities a HIPAA compliant vendor should have; such as a significant number of referenceable customers and a product that has been commercially available for more than two years. 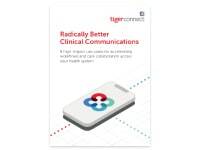 Our case studies show many instances where healthcare organizations have streamlined workflows, enhanced productivity and raised the stand of patient healthcare with the assistance of a secure text messaging solution; and since TigerConnect was founded in 2010 as TigerText, our secure messaging platforms have been implemented in over 5,000 facilities. Should you wish to speak with a HIPAA compliant texting vendor with this much experience in the market, please do not hesitate to contact us with any questions you may have about secure messaging platforms or to arrange a free demonstration of TigerConnect in action. Top 10 Questions to Ask before Selecting a Secure Messaging Solution[/caption] Simplify the selection process and easily identify what you need from a secure texting solution.